A tiny Colorado town made national headlines this week after authorities told residents not to use the water, citing concerns that it had been contaminated with THC, the main psychoactive ingredient in marijuana. 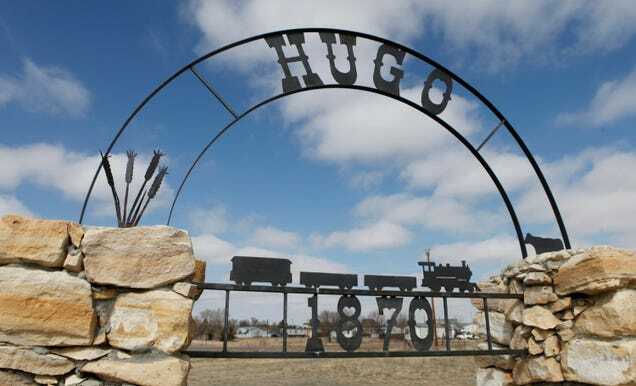 On Wednesday, the 700-strong town of Hugo, located roughly 100 miles from Denver in eastern Colorado, advised residents not to drink, bathe, or cook with the tap water, after multiple field tests came back positive for THC. The results are fishy, to say the least, and more detailed laboratory analyses are underway to verify the nature of the contaminant. According to the Denver Post, it was a Hugo-based company that first raised the alarm. After getting “inconsistent” results when using a THC field test (not unlike a pregnancy test) on its employees, the company decided to test the water and was surprised to see it come back positive. This prompted an investigation by the county, which performed ten field tests with two different kits, yielding six positive results. Eventually, the presumptively contaminated samples were isolated to a single well, which “showed signs of forced entry.” It was at this point that the city issued a public warning about the water. The story raises a few red flags. For one, it isn’t clear why anybody would try to contaminate a small town’s water supply with THC. As the Denver Post points out, this isn’t a place that’s seen a fierce debate over marijuana use, although commercial growing is banned in the surrounding Lincoln county. Moreover, it’s extremely unlikely that the town’s water supply could have been contaminated with THC—at least, in concentrations high enough to produce even the slightest buzz. That’s because, as any college survivor will know, THC is extremely insoluble in water. There’s a reason pot is baked into cookies and brownies, but nobody’s tapping the THC-infused energy drink market: you need a lot of butter or oil to get this stuff into solution. “It would take more product than any of us could afford to contaminate a city water supply to the extent that people would suffer any effects,” Lincoln county’s health officer John Fox said in a statement. More likely than some highly motivated stoner dropping an enormous chunk of change to get a town blazed is that the readings are false positives caused by some other contaminant, or that the field test kits themselves are unreliable. Deeper laboratory tests could be completed by later today. Update, July 23, 2:27 pm EDT: According to the Associated Press, tests concluded that there wasn’t any evidence of the marijuana chemical in the water, and the warning has been canceled. The sheriff’s office will conduct a criminal investigation into the suspected tampering in the community—since there was still evidence of forced entry—but the matter has been turned over to the Colorado Bureau of Investigation. “There never was THC in our water supply. We did get multiple tests showing the possibility of THC, but independent tests taken by different people at different times and places showed no evidence of THC,” said sheriff’s Capt. Michael Yowell.